Our state of the art laboratories provide everything from standard laboratory analyses to specific tests and expert opinions. In addition, we can assess the performance of the binder and consequently the asphalt which, in turn, is an indication of the road's performance. 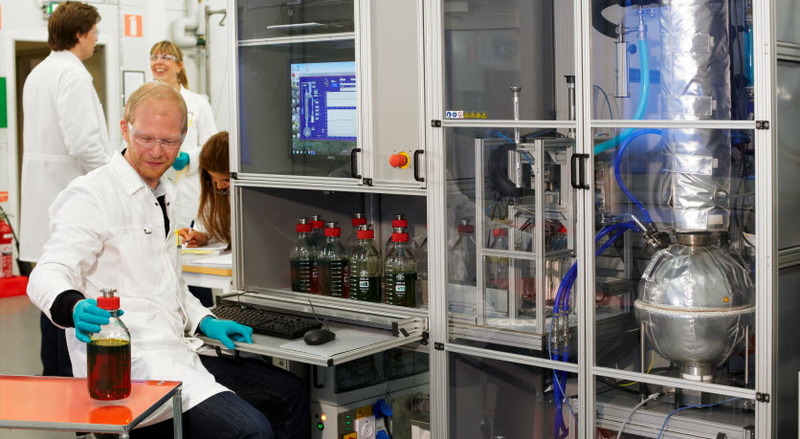 Through our three technical centres (all ISO-certified) we can provide you with everything from standard lab analyses to expert opinions and specific tests. Our labs are specialised in bitumen, with advanced equipment, and are manned with trained, experienced staff. They belong to a number of working groups and national associations within the bitumen community. The Nynas expertise in testing has been demonstrated to live up to the highest standards. As recognition of the quality and consistency of our testing, the Nordic lab is accredited and is thus authorized to issue certificates on our material as well as material from other suppliers. Sometimes a constant product quality is a priority to achieve the right function. This is especially the case when you have a tight specification or if you want to monitor consistency aiming avoid problems in the asphalt-manufacturing site. When this is the case, we can undertake quality control and provide the results so that you know that the quality lives up to your expectations. If you need help to perform more advanced tests on the bitumen and the design, rely on Nynas capabilities. We can conduct all binder and emulsion analyses needed to ensure that you have the correct binder performance for each application. If you want to make sure that you have chosen a product that can do the job required, or that the asphalt has the right characteristics, we can deliver the answers. Through specific analyses on all components, we can assess the performance of the binder and consequently the asphalt, which in turn is an indication of the road's performance. Parameters like asphalt aging and how it handles temperatures are assessed to validate that you can live up to tight specifications.